Before we have reached the halfway point of February, ASDA has treated us to a 25% OFF furniture sale! While it’s only selected items that see their price drop in the basket, there’s some good prices. 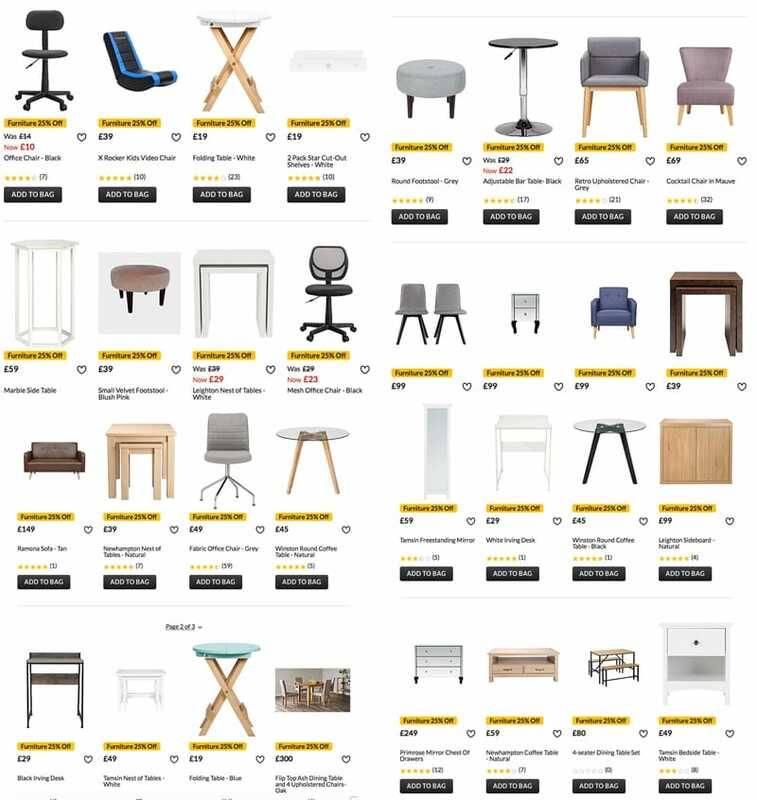 We noticed an office chair reduced from £14 to just £7.50 once it’s in the basket, also a gaming chair for under £30, and lots more for almost all rooms of your home. It’s well worth a dig through. See all items reduced in this sale online at ASDA.